Over the last several years, over 38,000 taxpayers have come forwarded and reported their foreign accounts. To make compliance easier, the IRS is offering an amnesty program called the Offshore Voluntary Disclosure Program. With the new FATCA legislation poised to kick in this July, the time has never been better to come into compliance while there is still time. Unfortunately, although offshore bank accounts have generated a fair amount of publicity in recent months, the U.S. reporting rules cover a wide variety of products including brokerage accounts, certain precious metal accounts, CD’s, certain annuities and foreign life insurance products. Recent media reports indicate the IRS and U.S. Justice Department are actively investigating private placement life insurance, also known as PPLI. 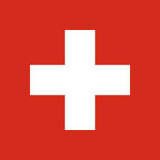 Several Swiss insurance companies offered PPLI products to Americans. Swiss Life is the largest Swiss insurance company offering PPLIs. According to the Wall Street Journal, Swiss Life recently returned money to Americans who had unvested in these products. So what exactly is PPLI and why are the feds scrutinizing Americans with Swiss PPLI accounts? Private Placement Life Insurance (PPLI) is a combination of traditional private banking and life insurance. (In fact, some call it “Private Bank Insurance.”) The goal of PPLI is to take private banking and portfolio management services and place them into a life insurance or annuity structure. The combined product offers a legal way of deferring taxes and having professional management. PPLI policies are certainly legal for Americans to own but they must be reported annually to the IRS. Since the early 1970’s, federal law has required U.S. taxpayers to report foreign accounts on a Report of Foreign Bank and Financial Accounts – FBAR for short. Included in the definition of reportable accounts are certain annuities and insurance policies with an investment component. The PPLI plan may allow Americans a method to defer taxes as their investment grows but the policies themselves must still be reported. The Wall Street Journal reports that two other Swiss insurance companies, Baloise Holding AG and Zürich Insurance Group AG, have stopped accepting American clients. Neither company is closing existing accounts, however. Our research shows many more insurance companies are offering these products including some outside of Switzerland. If you have or had a PPLI or Private Bank Policy at Swiss Life, Baloise Holding or Zurich Insurance Group and have not filed FBARs on that account, speak with an experienced FBAR lawyer immediately. The penalties for having an unreported foreign account are huge. There are amnesty options available and if you can demonstrate that your failure to report was not willful, there may be even better disclosure options. Doing nothing, however, is never a good option. The IRS tax attorneys at Mahany & Ertl will gladly provide confidential, no-fee initial consultations to help answer your questions and explain your obligations. Thereafter, most services can be provided on a reasonable flat fee. Mahany & Ertl – America’s FBAR and Foreign Reporting Attorneys. Our services are provided worldwide.